Greek police has announced that more than 1,600 illegal immigrants will be deported following a major crackdown in Athens in recent days. More than 6,000 people have been detained, though most were released. Public Order Minister Nikos Dendias defended the crackdown. He said Greece’s economic plight meant it could not afford an “invasion of immigrants”. He called the immigration issue a “bomb at the foundations of the society and of the state”. “Unless we create the proper structure to handle immigration, then we will fall apart,” he said. Some 88 illegal immigrants were sent back to Pakistan on Sunday. 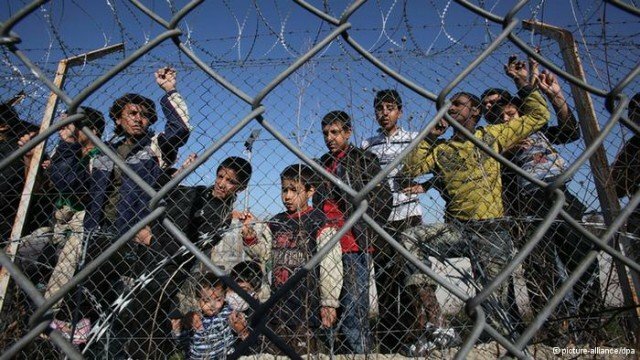 The Greek authorities have increased the number of guards at the border with Turkey amid fears there may be a sudden influx of refugees entering Greek territory as the situation in Syria deteriorates. More than 80% of migrants entering the European Union do so through Greece, which is in the grip of its worst recession in decades. Some Greek politicians have called for the government to adopt a harder line on illegal immigration. In the recent election, the far-right Golden Dawn party won enough votes to enter parliament. Last week the party distributed free food to needy people outside the Greek parliament – but only if they proved they were Greek citizens and submitted important personal information including their blood type, the Greek newspaper Kathimerini reported. Greece has frequently come under criticism for its handling of immigrants. Amnesty International accused it of treating asylum seekers like criminals and holding them in detention centres. Greece has frequently called on other European nations to do more to help tackle illegal migration into the EU, arguing that it bears a disproportionate burden.